It’s a plight pups endure far too often. Cathleen’s family moved to a place where they couldn’t keep her. 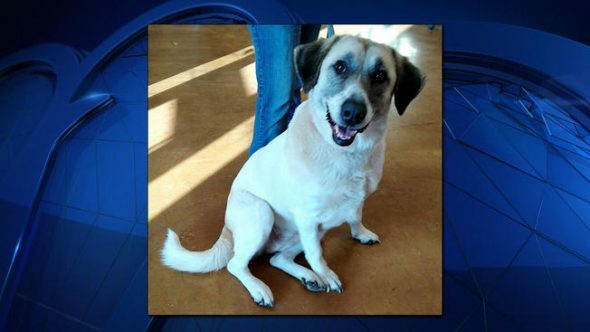 They gave her to a foster family in Prague, OK, until the Seminole Animal Shelter could find her a new home. But Cathleen wasn’t having it. The 6-year-old Great Pyrenees mix walked the 20 miles from Prague to Seminole — roughly six-hours — to return to her family last month. And in wintry Oklahoma temperatures, the persistent dog made the journey not once, but twice. Here’s a video of Cathleen enjoying playtime with a new sibling…! Cathleen was picked up by an animal control officer in Seminole, and the persistent dog’s escape artistry proved too challenging for her fosters, who gave her up after being unable to curtail her meandering. 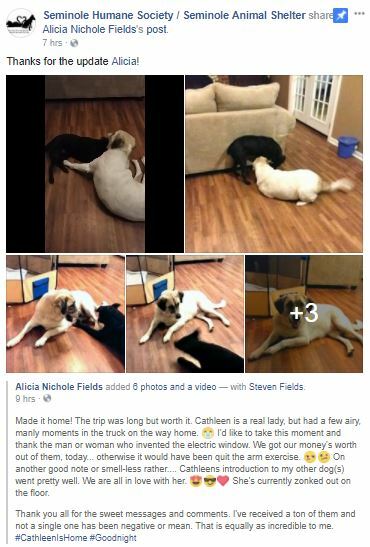 So shelter staffers, who described Cathleen as a calm dog who’s “humble, kind and passive” and “wouldn’t hurt a fly” went out of their way to help find Cathleen a special home who would not only keep and love her, but make sure she didn’t get out again! The shelter received a number of applications on Cathleen, KOCO News 5 reported. And on Friday, the shelter announced that Cathleen now has a new home in Texas! Cathleen is so lucky the Shelter in OK. took the time and patience to find this girl a New Kind and Loving Family… With siblings to keep her occupied… This is Simply Wonderful that this beauty got a chance to live out her life with people who will treat her like the princess she is!!! !